This bat features the World Series logo but not the World Series Champions logo. The Houston Astros are set to play in their first World Series as a member of the American League for the first time following an amazing regular season and exciting Postseason. 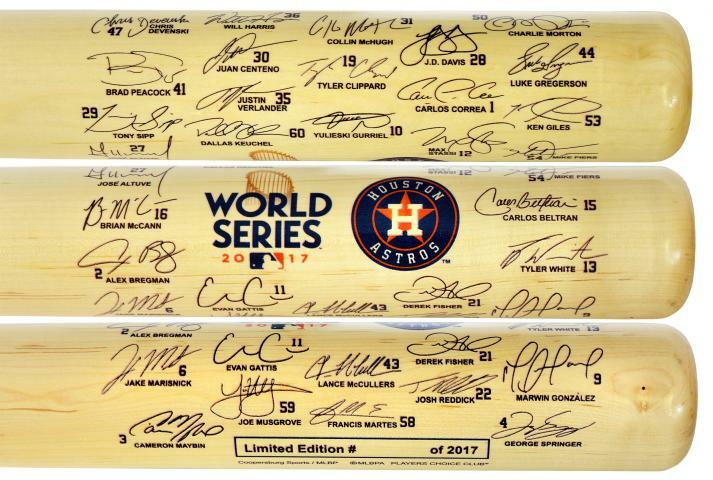 To honor the team's amazing run, we are pleased to offer this unique, full-size collectible bat featuring the facsimile signatures of the players of the 2017 Astros team - including late season acquisition, Justin Verlander. These special commemorative hand-crafted bats are made in America, and is an ideal addition to any fan's collection of Houston Astros championship memorabilia. 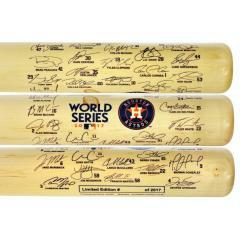 Astros 2017 World Series Team Signature Bat $129.95 Sold Out!